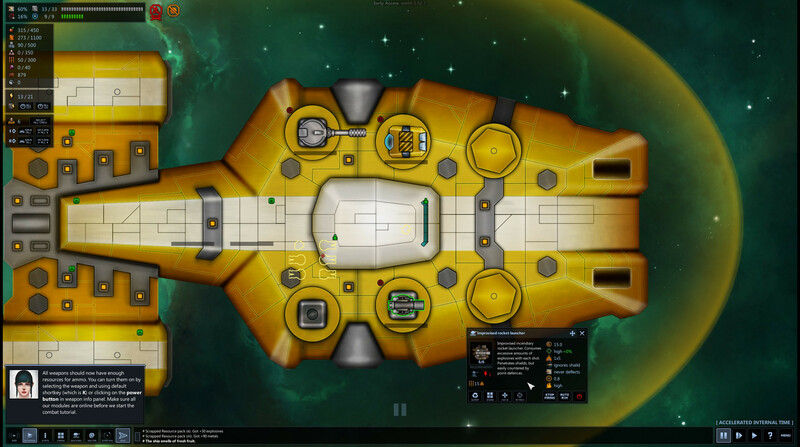 If you haven’t heard of FTL then I recommend that you buy and play it right now (FTL is a brilliant space-based Roguelite, a modern classic, and the kind of game I’d recommend to anyone). All done? 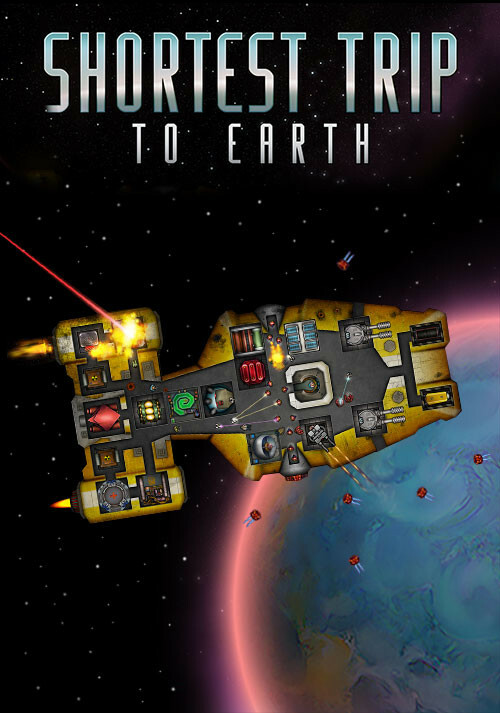 Good, Shortest Trip to Earth (STTE) has a lot in common with FTL. But, even though it’s still in development I can tell you it feels very different. 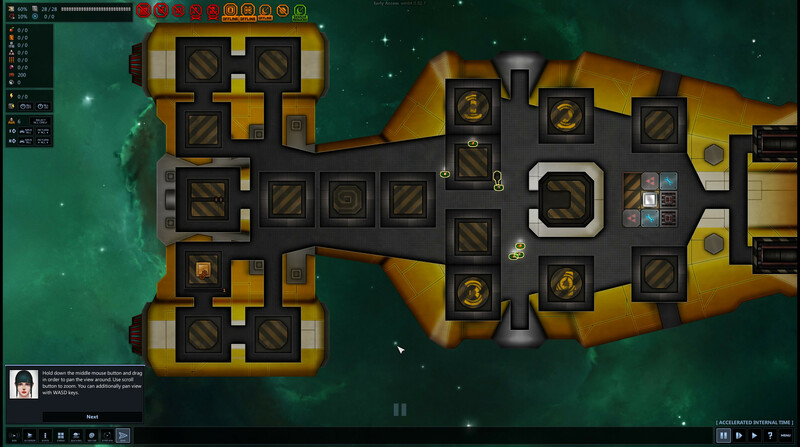 The premise in STTE is that your ship and crew have somehow ended up in a distant region of space with an ill-equipped ship, and you need to get them back to Earth. Cue: micromanagement, random encounters, and lots of tough decisions. 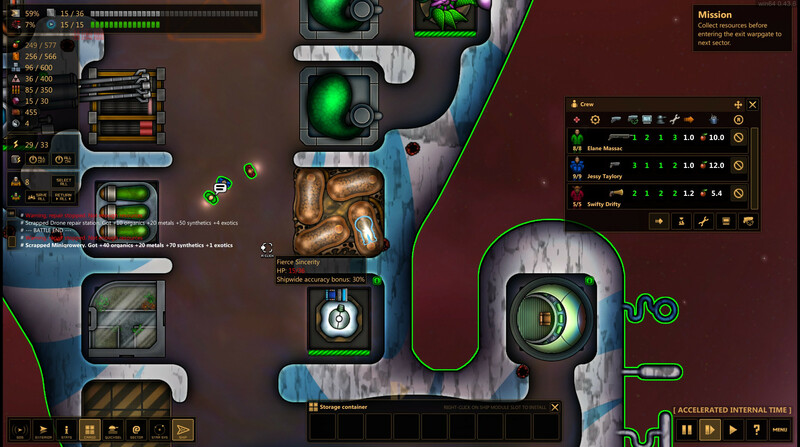 STTE adds weight to the moral choices it throws at you by giving you Fate points. 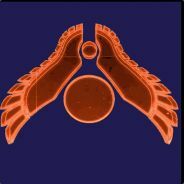 When you die (it’s that kind of game) your Fate points are totalled up and become available for use in your next attempt, as various starting perks, bonuses, and additional crew. New starting ships are also available. 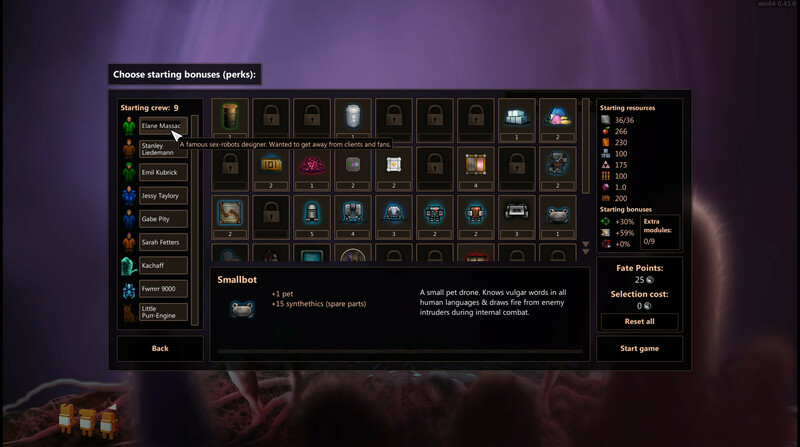 But they’re unlocked by progression (how many sectors you make it through) rather than the style of play. Of course, the balance to Fate is a need, when you need something badly enough you’ll worry less about the long-term effects (there are negative Fate points too). 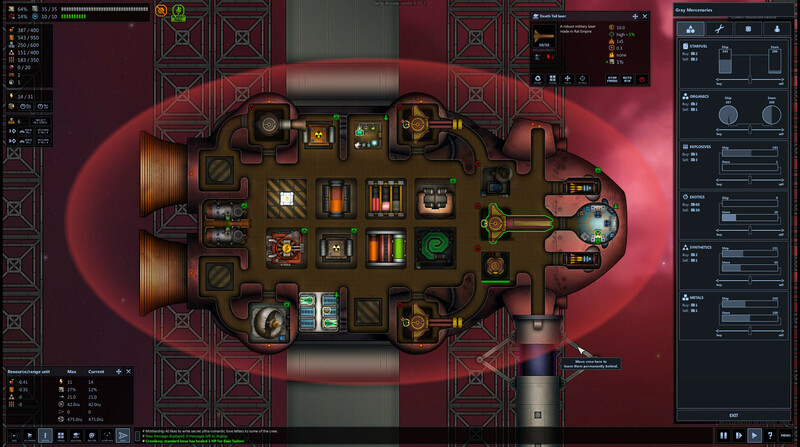 The top-down ship management in STTE is similar to that in FTL. 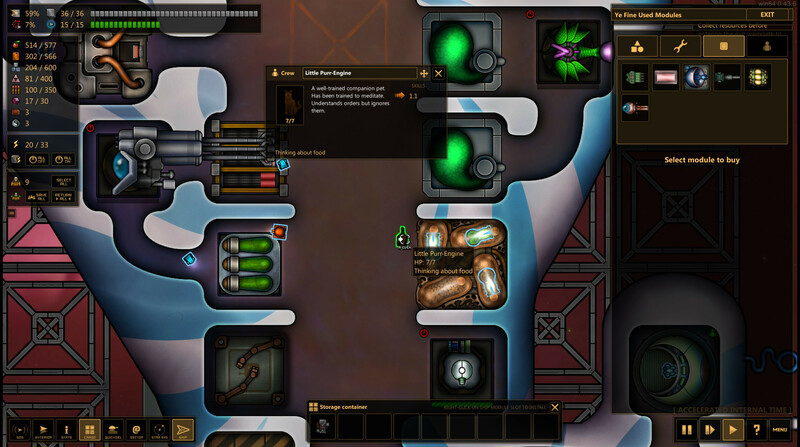 However, it’s a lot more comprehensive and detailed; each component and crew has an array of stats and abilities. Even trading involves multiple resources and exchange rates. 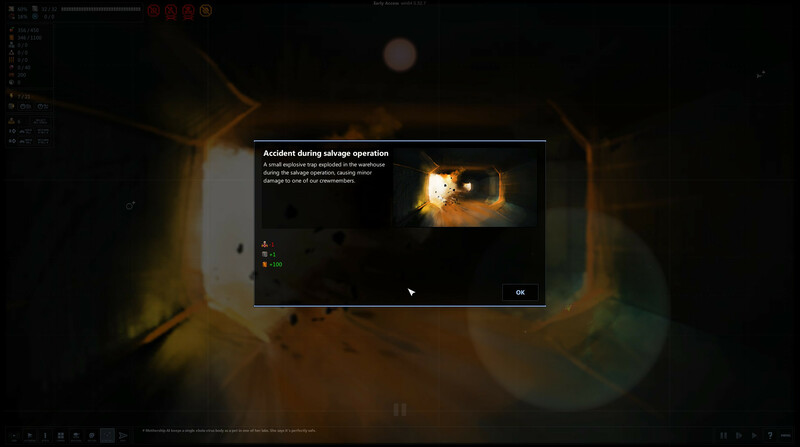 The crew can each be given specific modules to take care of or more general tasks (repair, security and firefighting), or you can just pause and micromanage their every move. 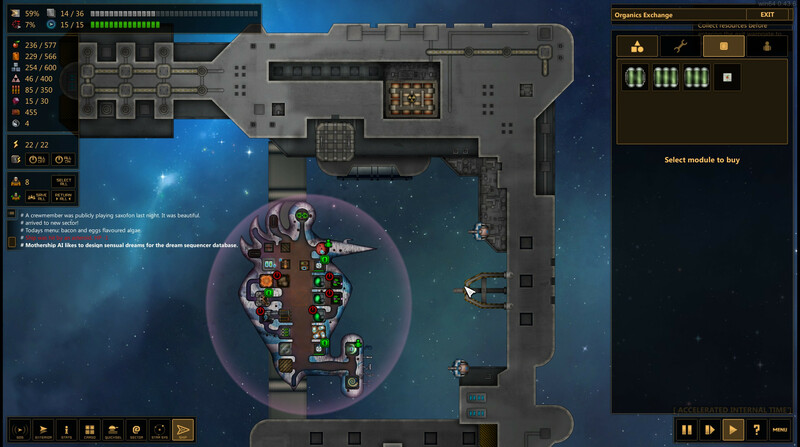 Combat in STTE is also similar to FTL. But again adds more complexity. 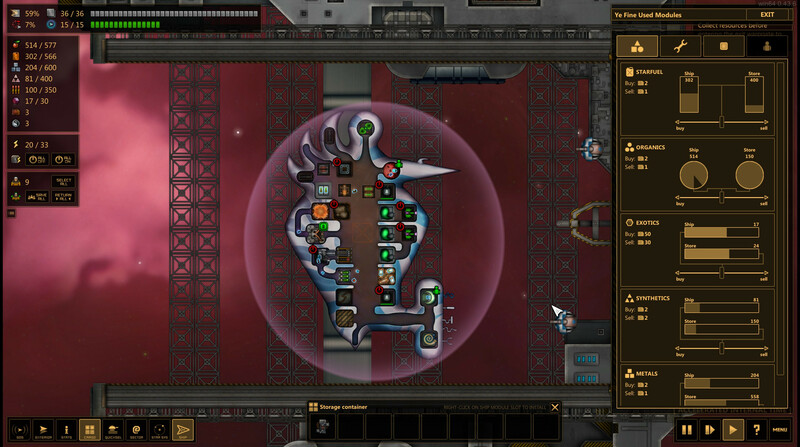 Instead of separate screens, there is one display with your ship and the enemy ships (yes multiple enemies at once) which could be in any position around you (this makes a slight difference with aiming). 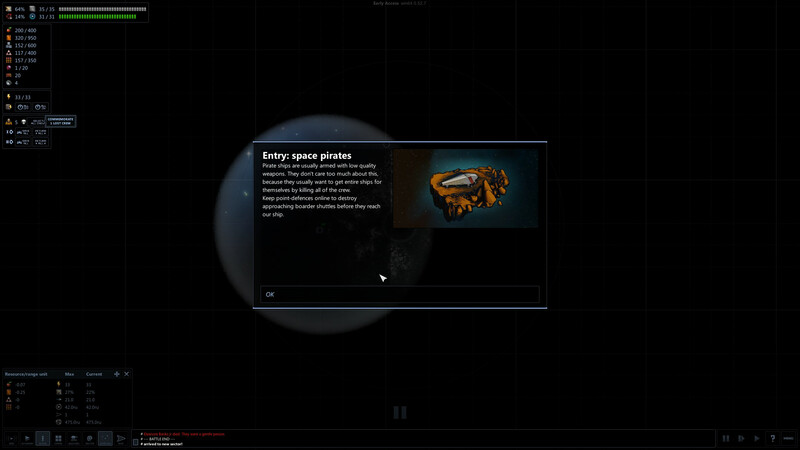 The system view in STTE allows you to explore multiple planets and anomalies within each star system. But it also adds an extra level of suspense, as not everything in a system is visible unless you’re close enough for it to see you too. The freedom to explore comes with a price as all movement costs fuel and food, so everything is a balancing act between finding resources and getting closer to Earth. Even in the future cats are jerks. 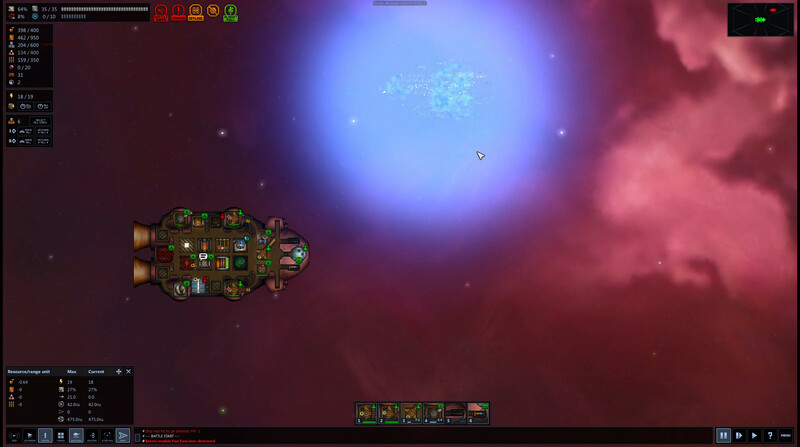 STTE is a lot less pressured than FTL. There isn’t a massive fleet chasing you through the galaxy. Whole civilisations are not dependant on you saving them (except a few pre-warp cultures that you may inadvertently destroy along the way – but they don’t count). 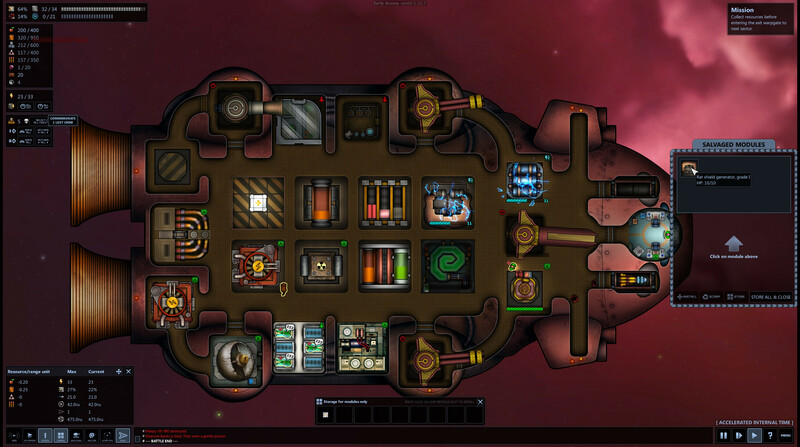 You just need to save your ship (crew is optional, and can be replaced) and you can take as much time as you wish. While STTE has quite a serious vibe, it’s not adverse to dropping in the odd joke or sci-fi reference. Although I’m not sure how many people remember the need for a silent running mode on gardening robots. The ship pets are a nice feature you’ll usually probably have a ships cat. But you can get alien pets can be found too, which are useful for eating pirate invaders. 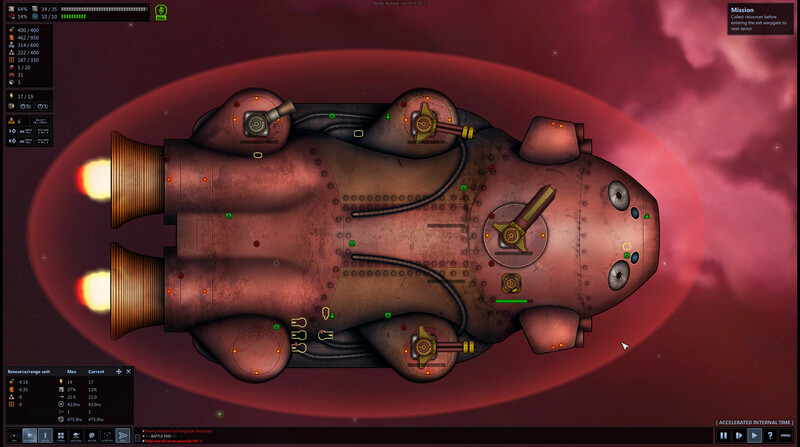 The current state of STTE is very good, recent updates have added lots more content and bug fixes. I’ve died a number of times so far (Haven’t reached to Earth yet). But I’ve not encountered any serious bugs. 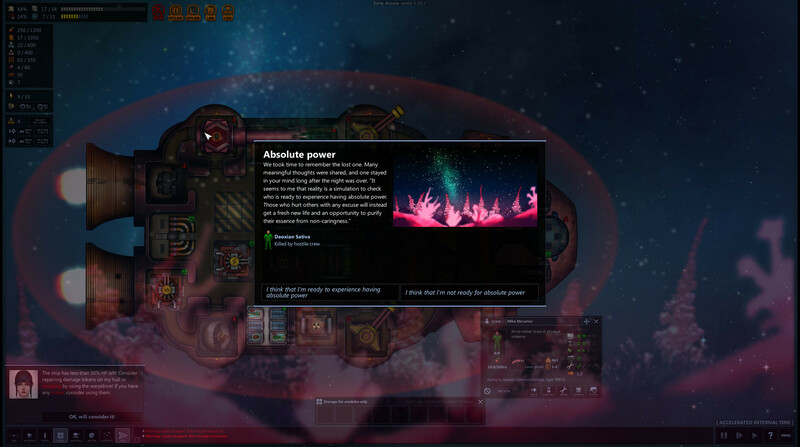 STTE can be played and enjoyed with very little risk of encountering an error, although the main menu gives a list of potential bugs to watch out for. 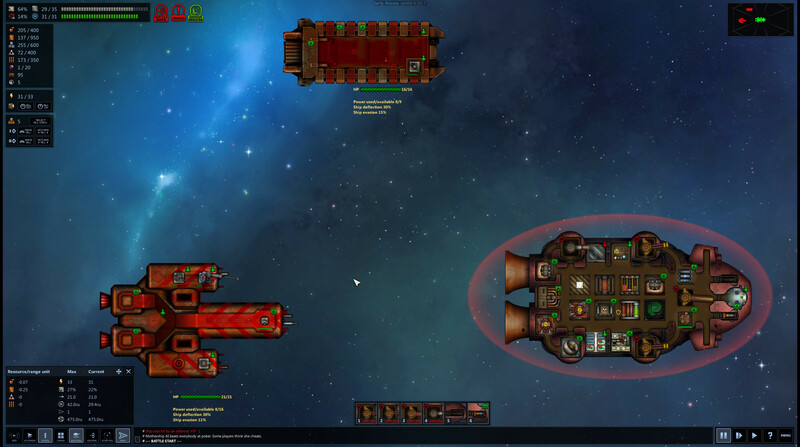 Shortest Trip to Earth has clearly been inspired by FTL. However, it’s a much slower game with more to do and more to think about. 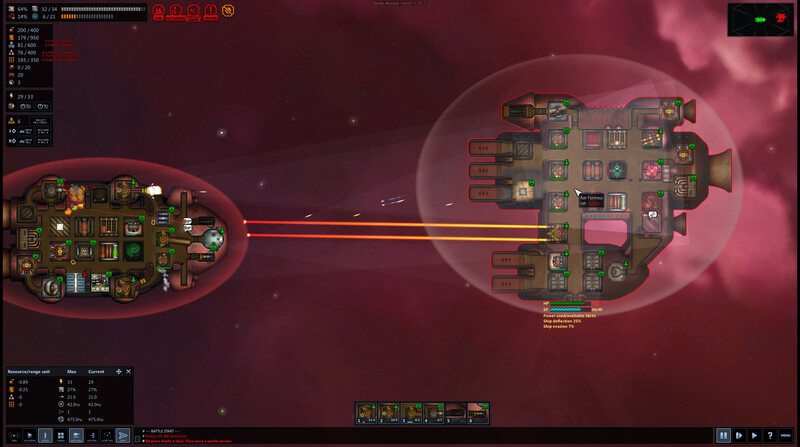 Your choices in encounters can have a bigger impact too, not just resource-wise but emotionally, as each event is better written and less cut-and-paste than those in FTL. Time and again STTE will pit you against the RNG gods. But the outcome always feels like it’s in your hands. There are always choices, and always alternatives to any situation you end up in. Death is a driving force in STTE. But so is Fate (well played with will be the nomenclature). 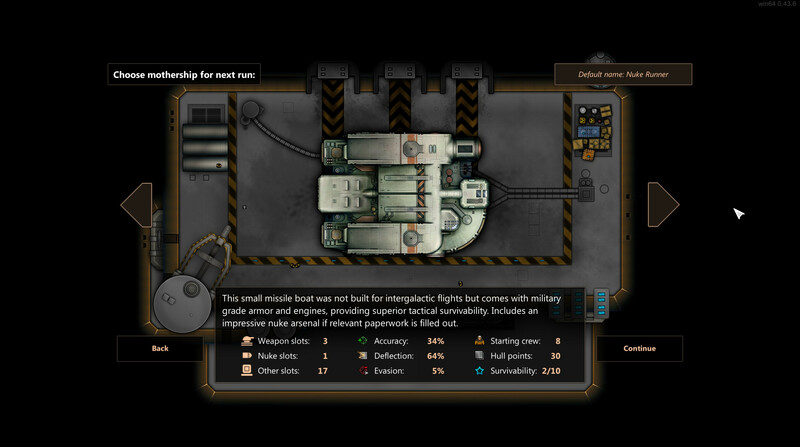 However a third motivator is your crew; Losing a crewmember is not as impactful as other games (Xcom springs to mind). But, they’re all individual with varying skills, abilities, and bios, and additionally STTE gives you the option of holding a ceremony when one of them dies (but not when any of your droids die). 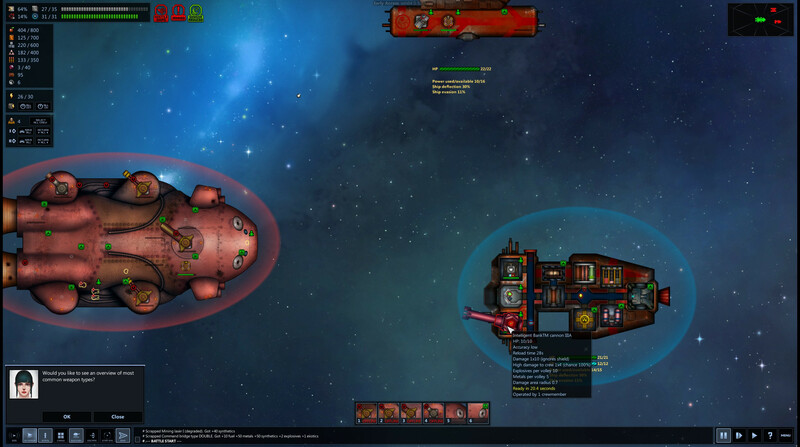 It’s unclear how long Interactive Fate (the developers) are going to keep STTE in early access. But, I don’t mind either way. It’s potentially one patch away from being a finished game. But, also something that could grow a lot more.